Get a $85 Fair, Ethical, Consistent DOT Physical Exam at our convenient, Driver Helpful clinic located at 9010 Lorton Station Blvd. in Lorton, VA. Pass Your DOT Medical Exam! Zita Buky knows how important it is that you continue your livelihood as a commercial driver. With her extensive knowledge of the DOT Physical Exam medical guidelines, Zita Buky will steer you through the DOT Physical Exam requirements so you can Keep on Truckin’. Need your CDL Physical Exam Today? We know your time is valuable! Same Day Appointments in most cases, just give us a call! After hours appointments with prior arrangements are available. No Waiting! We are committed to getting you back on the road in no time. Looking for a DOT Physical Exam or CDL Physical Exam in Lorton, VA? You’ve come to the right place! Physicals Plus is conveniently located off I95 in the Lorton Town Center by the VRE. There is ample parking which can accommodate large trucks. 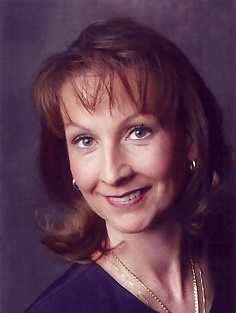 Nurse Practitioner, Zita Buky is a Certified Medical Examiner in the National Registry. Zita Buky has over 25 years of Allied Health and Nursing experience with the past 17 years working as a Family Nurse Practitioner. She earned her Masters Degree in Nursing at George Mason University. Her experience in critical and respiratory care provide a diverse and solid foundation for her practice.